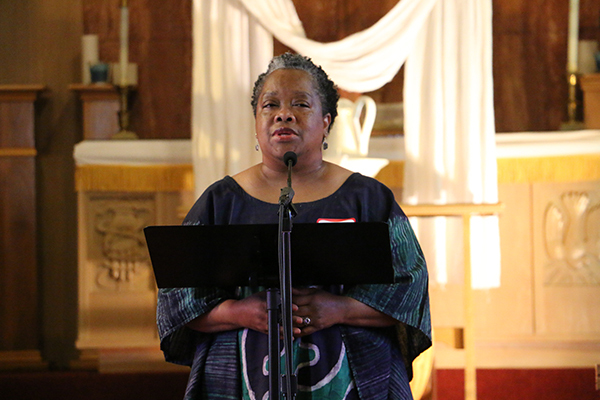 Dozens of clergy and laity came together at Aldersgate United Methodist Church (North Coast District) on May 11 for Black Theologian Day. It was a day for education, for fellowship, and for discerning the movement of God’s Spirit. 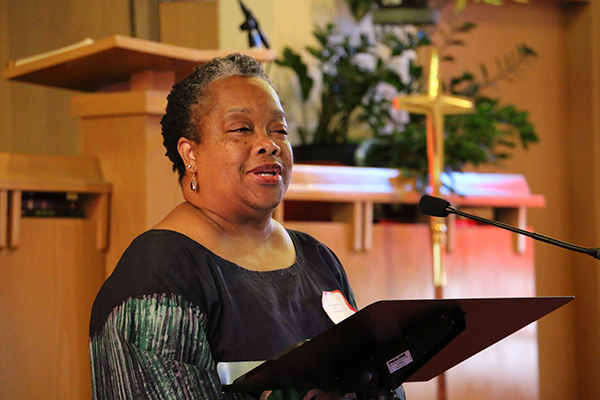 “Can you imagine a church that is truly representative of all the people who live in the community?” Dr. Martha Banks asked the audience during her morning devotion. Her thought-provoking questions challenged participants to look forward, not back. Examining where we are and where we need to go was a good lead-in to the day’s keynote speaker, the Rev. 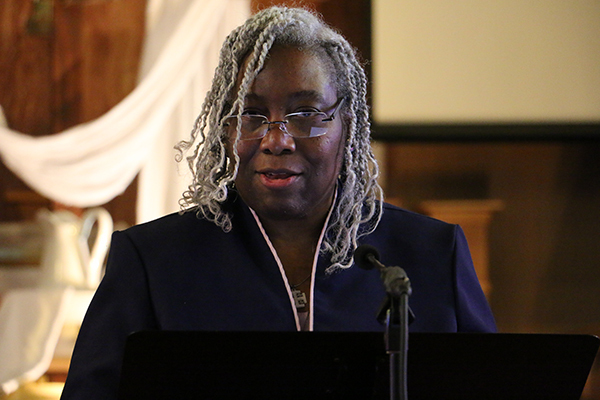 Dr. Valerie Bridgeman, visiting associate professor of Homiletics and Hebrew Bible at Methodist Theological School in Ohio (MTSO). In explaining the need for every human to feel free, the ordained minister, educator, peace activist, author and editor said that we often times don’t realize the role we all play in taking that freedom away. “The way we describe people is designed to put fences around people and contain their freedom,” she said. Bridgeman shared first-hand accounts of visits she has made at the request of friends in recent months to both Ferguson, MO and Baltimore, MD. Those cities have been rocked by violent and destructive protests that erupted after black males were shot and killed by white police officers. She also spoke about the shooting death of 12-year old Tamir Rice, who was waving a toy gun in a Cleveland park Nov. 22, 2014. Video from that day shows Martin being shot by a responding police officer two seconds after the cruiser in which he was a passenger arrived in the park. Bridgeman said she is often asked by people what she would have them do to change that. Her answer is to go out into the community and talk with people.